We are happy to help make your stay as relaxing as possible by planning and organising excursions and activities in the Lusatian Lake District for you. We are happy to provide you with information and tell you all about the possibilities and attractions the region offers at any time. Sit back and relax, we'll take care of the rest whether it's booking a ticket, recommending excursions or making your very own special wishes a reality. Our competent personnel is happy to help you. You can comfortably reach numerous attractions in the Lusatian Lake District by bike. You'll enjoy cycling on paved paths far away from road traffic so you can take in the natural setting without disturbance or hectic while cycling to your destination. The predominantly flat paths are perfect for all ages. The expansive network of cycling paths is ideal for excursions of various lengths and intensities. We have top quality, stable not to mention comfortable KTM bikes ( www.ktm-bikes.at) available for rental. You can choose from three mountain bikes, four trekking bikes, two low-entry city bikes, two e-bikes and 2 Wild Cat children's bikes (a 20 inch bike for girls and 24 inch bike for boys) from KTM. We also have two Erlkönig children's bikes sizes 16 and 18 available for children. We are happy to organise the perfect cycling tour and even a tour guide if you like. Of course, you're free to jump on a bike and discover the surroundings any time you like. Two top of the line Quicksilver boats are available for water sports. The Quicksilver 430 is licensed for up to 4 persons, has a 5 hp motor and can also be used without a boat driver's license. The Quicksilver 470 is also licensed for up to 4 persons and is equipped with a 15 hp motor. This boat can only be rented with a valid boat driver's licensor for INLAND WATERWAYS. Both boats have a small cabin, in some cases with seats and loungers. The boats can be used in any weather thanks to the flexible boat cover. Both boats are fully equipped with in terms of engineering and safety. Our boats are presented and handed over by our trained employees. We place particular emphasis on complete familiarisation of renters with all the technical details, the boat's furnishings and fixtures as well as safety guidelines without rushing things. Following the test drive with our staff, docking and casting off, we hand over the keys. We are also happy to offer you individual training hours with our boats or guided boat tours through the Lusatian Lake District. Enjoy your excursion safe and sound with our boat guide as you explore the spectacular, one-of-a-kind lake scenery! 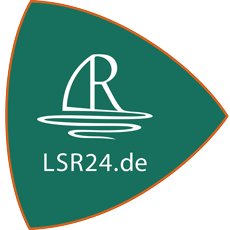 We are happy to take reservations for boat rentals based on availability by phone at +49(0)162-6585101, +49(0)3591-49671 or via e-mail to inf@lausitzer-seenland-resort.de. The boat is handed over once instruction is complete and the rental contract has been signed. Experience the latest trend in water sports right here at the Lausitzer Seenland Resort. On the Jobe Surf ‘ Sup, you can enjoy the Geierswalder Lake in a whole new way with this active sport for loads of fun. The Surf‘ Sup + paddle can be rented for € 5.00/hour. 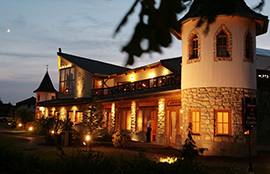 This service is FREE for guests of the Lausitzer Seenland Resort. In our resort, you can enjoy excellent South African wines from a very broad private collection. 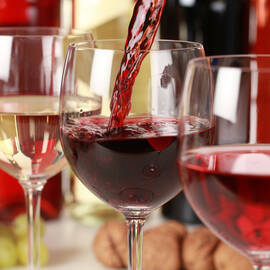 South Africa is and continues to be a popular wine country. With their full-bodied red wines known for their distinctive flavour, South African winegrowers have captivated German taste buds. The Lusatian Lake District offers a wide range of routes – along and on the water − which invite you to take all kinds of tours. Whether you're interested in hiking, a bike or boat excursion, horseback riding or exploring with a quad or Segway. We're happy to plan and organise any excursion for you and your guests. We're also happy to provide you with your own trained tour guide to accompany you on your tour and share fascinating information about the region. Just tell us what your wishes are. Sometimes you just need to unwind in a beautiful setting! The Seeschlößchen Wellness Hotel is located just a few steps from the Senftenberger lake. The family-run hotel offers you a private atmosphere with its own unique charm and the romantic flair of crooked architecture. Relax in the wellness garden in the SPA area – a small green oasis with a wet biotope and pond inlet, along the edge of the indoor pool in front of the fireplace or during one of the diverse treatments. The “Kleine Brasserie am See” and the gourmet restaurant “Sandak” add the finishing touch to your stay in our wellness oasis. On warm days, guests spending their holiday on the waterfront are tempted to go for a dip. Many of the lakes offer beaches with fine sand for bathing. The Geierswalder lake, the Senftenberger lake and the Partwitzer lake offer perfect conditions for bathing, among other things. Our very own beach is located only a few minutes from your holiday home and offers an enjoyable bathing experience for all ages. Of course, every floating home has its own bathing ladder. If you're in the mood for a little action, why not try one of our numerous water sport activities. On the Geierswalder lake, you can glide across the water while kite-surfing, on a catamaran, jet ski, sailing or water skiing. We are happy to help you find the right sailing or surfing courses. Since 11 June 2010, the Elements – DELI & Restaurant has remained true to the motto “working together, in the spirit of excellence, for the finer things in life”: fine dining and sincere hospitality, cooking culture and zest for life. Food should always be exciting. Our delicious meals offering the best of regional cuisine are distinctly cosmopolitan with agreeable portions leave plenty of room for inspiration.